Ex Libris: Happy Holidays from Ex Libris with a MEGA Giveaway! Happy Holidays from Ex Libris with a MEGA Giveaway! The holiday season is upon us and as a thank you for being a reader of Ex Libris I wanted to host this giveaway for 5, yes FIVE holiday romance bundles you could win! The giveaway is very simple: just leave a comment and tell me which bundle you'd like to win (you can enter your name for any or all of them) either for yourself or as a gift to someone, and fill out the Rafflecopter form. There are some extra entries you could also gain. This collection of spicy holiday stories is on sale for a limited time only. A STEAL at 99 cents, so grab your copy today! When Interior Designer Chloe Craig thought of Christmas, her mind overflowed with trees trimmed in twinkling lights and doorways adorned with mistletoe. Using her infectious joy, she attempted to soften the heart of her new employer, but was it possible to turn a Scrooge into Kris Kringle? Kirk Fontaine has lived in the dark for months, unable to bear living or even talking to people, until one small mutt forces him to see the sun. Miranda Bailey’s hoping for one more Christmas miracle, but can’t believe a grouch like Kirk could be it. Casey Lowe is new in town and her next-door neighbor Thad Wagner is the kind of guy you want to have around, especially when something breaks. Thad is easy on the eyes and great with his hands, but will he be able to mend her broken heart? Holly Langford has given up on love but the Christmas season unexpectedly ignites her bleak and solitary life with three men who represent her past, her present, and her future. Which man offers the gift of true love and happily ever after? Frankie has concocted the perfect plan to get her father to release her trust fund early—a fake boyfriend he'll hate. The only problem is, the more time Frankie spends with her fake boyfriend, the harder it will be to let him go. Kellen Slade is a bad boy builder who rides a Harley almost as hot as he is. Rhian St. Clair is a rich girl who wants out of Savanah and out from under her father’s rules to follow her passion as a painter. Celebrity photographer "Jax" Jackson volunteers to shoot the Klein's K-9s' dog-themed "12 Days of Christmas" fundraising calendar. His hidden agenda: Convince past love and calendar coordinator Amy Walters to give him a second chance. After a nasty divorce and a life of isolation, Naomi Compton rents a luxury cabin in the woods for her first Christmas alone. The property just so happens to come with its own hunky groundskeeper, Henner Willliams, who’s more than happy to show Naomi what she's been missing out on all these years. Issued a challenge at the company Christmas party, reserved accountant Blake Carmichael determines to catch Lucy Brier’s interest, a woman he’s lusted after for years. 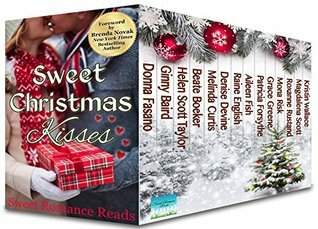 Lucy’s determined to win her bet: quit flirting and stay single until next Christmas…a full year without a man, next to impossible for the audacious brunette. Book 1: Coming Home to Christmas Town by Melinda Curtis, Anna Adams, & Anna J Stewart: Three adopted siblings gather for the holiday season and closure after their father dies. Novella 1: The Comeback Christmas by Melinda Curtis, award-winning, USA Today bestselling, Harlequin Heartwarming author. Novella 2: Bells Are Ringing by Anna J Stewart, award-winning, USA Today bestselling, Harlequin Heartwarming author. Novella 3: A Home by Christmas by Anna Adams, award-winning, Harlequin Heartwarming author. Book 2: The Fisher Brothers Christmas by Carol Ross, Cheryl Harper, & Amy Vastine: Three brothers with a Christmas Eve family tradition in jeopardy until love leads them home. Novella 1: The Christmas Bell by Carol Ross, Harlequin Heartwarming author. Novella 2: Making Up Under the Mistletoe by Cheryl Harper, Harlequin Heartwarming author. Novella 3: My Christmas Hero by Amy Vastine, Harlequin Heartwarming author. Book 3: Gifts of the Heart by Tara Randel, Leigh Riker & Cari Lynn Webb: In the spirit of Christmas, three siblings reconnect to find romance, special gifts - and each other. Novella 1: An Unexpected Gift by Tara Randel, Barnes and Noble bestselling, Harlequin Heartwarming author. Novella 2: A Gift of Home by Cari Lynn Webb, Harlequin Heartwarming debut author. Novella 3: His Christmas Gift by Leigh Riker, award-winning, Harlequin Heartwarming author. 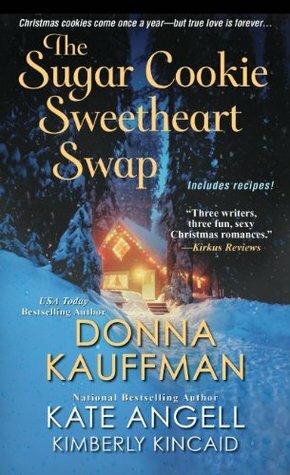 Novella 1: The Gingerbread Heart by Liz Flaherty, Harlequin Heartwarming author. Novella 2: The Gingerbread Pony by Patricia Bradley, award-winning, Amazon bestselling, Harlequin Heartwarming author. Novella 3: The Gingerbird House by Rula Sinara, award-winning, Harlequin Heartwarming author. Giveaway is open worldwide and ends on 4 January 2016!